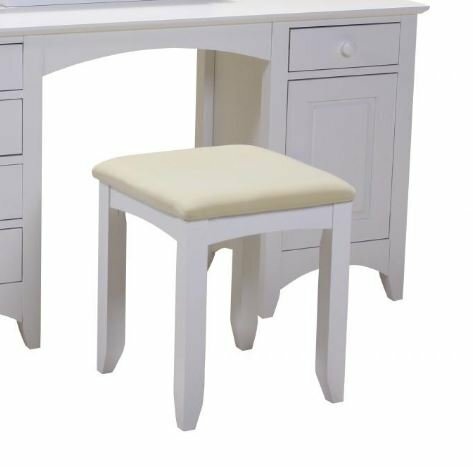 This beautiful Stool is perfect for any Dressing Table. The pure white frame and cream cushioning makes it fit perfectly within any modern or traditional home. The simple, uncluttered design and bright frame makes the stool appear less intrusive and imposing. Also available is the matching Dressing Table to create a perfect fit for your Bedroom.